dinner and a movie who lays like this?!?!?! 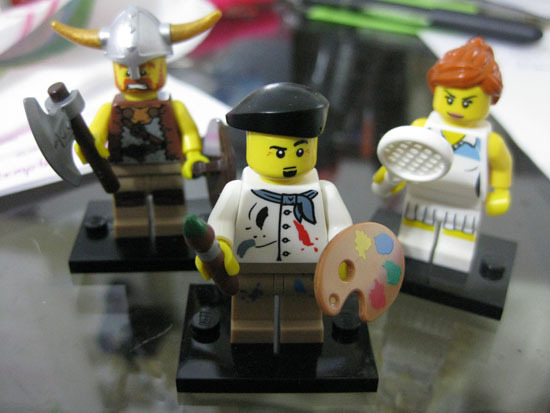 Much Love for the LEGO Minifigs! 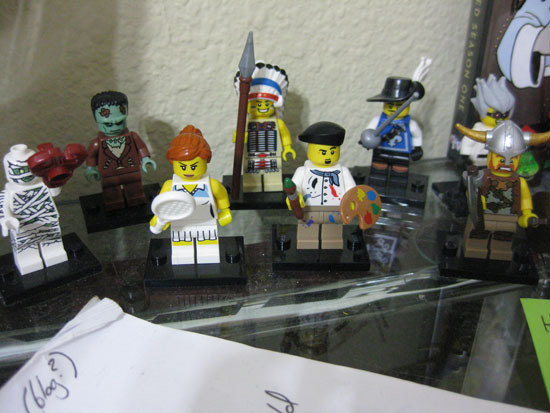 Granted, I probably need to find some shelf space for these little guys because I’m running out of space on my desk, but I do think that they’re a neat idea and I’m glad to see that LEGO is already getting ready to put out a 5th series of minifigs here shortly. They’re kind of like trading cards for people who like to build things, and I guarantee you if these had been around back when I was a kid, I probably wouldn’t have even had the slightest interest in all of those football cards that I collected despite not really even liking the sport growing up! One Response to Much Love for the LEGO Minifigs!